It’s easy to blame technology for all of the world’s problems. We like to think that if it weren’t for digital devices, we’d all be better off. We wouldn’t get emails after hours, we’d watch fewer advertisements, and our kids would play outside every once in a while instead of gaming the day away on Fortnite. But while these gripes are grounded in experience and reinforced in popular media, there are equally clear reasons for why tech is awesome. From schools to hospitals to offices worldwide, digital technologies have made things better for everyone. But we’d like to focus on how tech is shaping family life in particular. Here are three reasons we think families should celebrate technology. It’s no secret that kids are crazy about social media. And while it’s tempting to write it off as a frivolous pastime, it can actually be a powerful tool for good. Countless kids struggle to find community, whether it’s because it’s hard to find people with similar interests, they live on the outskirts of their city or town, or they’re part of a marginalized group like the LGBTQ community. Social media gives them a chance to connect with like-minded people or those who understand what they’re going through. These relationships can help them to grow into their best selves. The digital age has also provided new ways for people to be proactive about bettering the world. There are apps that promote health and wellness, and others that help us rally behind charitable causes to support our communities. Charity Miles combines these activities by allowing users to donate to their favorite causes by simply going for a run, walk, or bike ride. The longer the distance you cover, the more money you can earn for your charity of choice. Young people have been empowered to accomplish great things, too. Take Natalie Hampton, for example, founder and CEO of Sit With Us. After her own experience with bullying throughout middle school, Natalie launched a non-profit committed to making sure no kid has to eat alone at school. The platform has more than 100,000 users who open themselves to sharing their table with anyone who asks to join. Natalie started Sit With Us when she was only 16 years old. 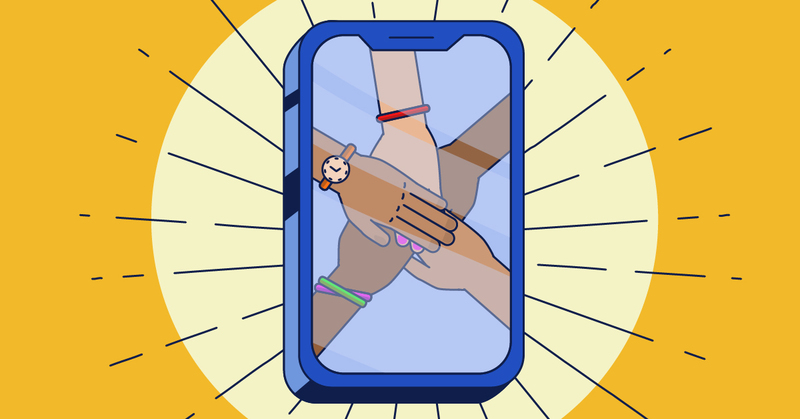 Between apps like these, digital crowdfunding efforts, and other innovative initiatives, young people all over the globe are eager to give shape to a more inclusive and generous world. It can be difficult for families to stay in touch. Between having parents who travel for work or grandparents that live hundreds of miles away, kids can feel disconnected from the most important role models in their lives. But technology can ease the worry and sadness that both parents and children experience when they’re apart. This is especially true of military families, who often don’t live together for months — or even years — at a time. Caribu is a video-calling app with amazing interactive features. Servicemembers can use it to have meaningful experiences with their kids no matter where they’re stationed. They can read books together, play games, and color pictures in real time on the screen. Time spent apart can take a huge toll on families, even under normal circumstances. But technology provides military families with a way to stay close to home, even when they’re overseas. And speaking of the homefront, social media is a great way for parents to check in with their children. As kids get older, it’s common for parents to feel like they’re losing touch. Between school, extracurriculars, and hanging out with friends, kids quickly develop lives of their own. But when parents follow their kids on social media, they can gain a greater understanding of what’s important to their children. Asking kids about their photography, their trip across the country, or even just the amazing waffles they made for breakfast opens opportunities to connect on a daily basis. 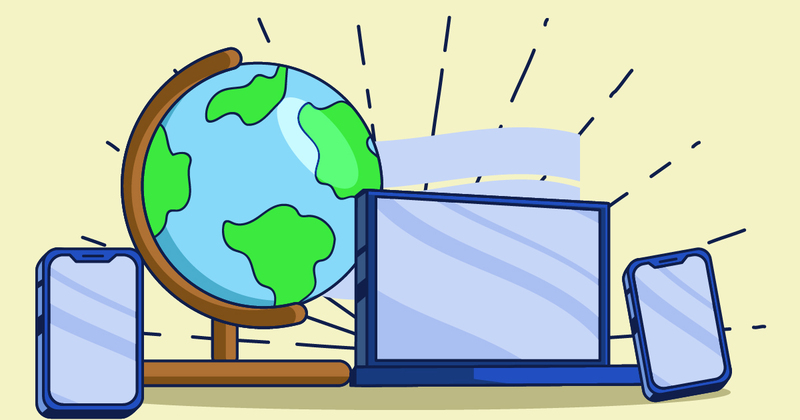 Even when geographic distance separates families, technology closes the gap and creates a greater sense of connection between families. Instant communication is an important reason that tech is so amazing. In the past, if someone wasn’t where they were supposed to be, you simply had to hope that everything was okay. For families with additional concerns, that anxiety was even worse. Kids living with medical issues ranging from diabetes to food allergies, with a mental disability, or in dual family households all depend more heavily on cell phones, and having one in case of emergencies can make a huge difference. Anyone can find themselves in an emergency, of course, and when that happens, we rely on tech to help us through it. No one who broke their leg on a hike has ever been relieved they left their phone in the car! Apps like ICE Contact can keep a problem from becoming a catastrophe. The app notifies users’ emergency contacts of their location if they need help. This is great for parents with kids who enjoy activities that carry moderate risk, like cycling or contact sports. Whether it’s a ride across town or a friendly game of pick-up soccer, parents can breathe easier knowing they can help their kids in an emergency. As a company dedicated to helping keep kids safe online and in real life, we’re aware of the worst that exists online. But while digital tools do carry risk, there are tools, like Bark, that makes the Internet safer for kids to use. Our advanced A.I. keeps up with the evolution of language and alerts you to potential issues like cyberbullying, depression, suicidal ideation, and sexual grooming to help keep kids safe from digital dangers. Sign up for your free, one-week trial today!